Step 1. Add two spoons of the sugar and lemon mixture. Step 2. Add some sprite, leaving space for the soda, mint leaves and ice! Step 3. Add a teeny-tiny-toony bit of soda, topping it off with some crushed mint leaves. Step 4. Add ice and enjoy! P.S. 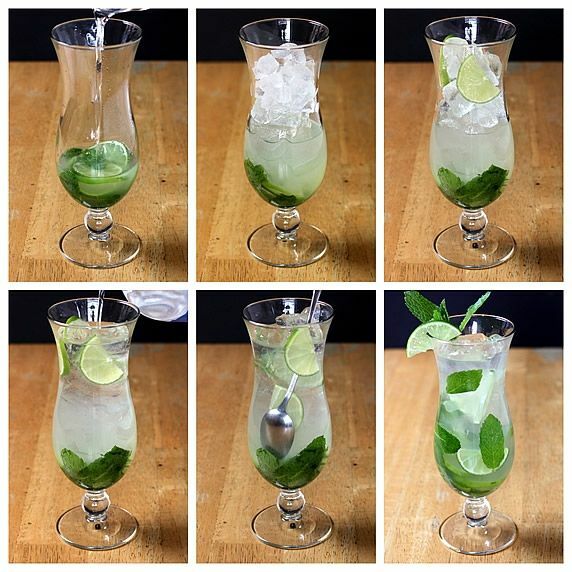 When you crush the mint leaves, make sure to just gently fold them, and not tear them, since that will make the Mojito bitter. Hi, I'm a fellow non-legal friend. Thank you for this recipe! gonna try it out soon!! Learn how to create a super-cute outfit for yourself!